Did you know that about 20% of food produced in the U.S. never leaves the farm? This is largely due to extremely strict cosmetic standards set by grocery stores. Where does all that rejected produce go? Much is turned back into the soil, composted or used to feed livestock but still a large amount gets landfilled nationwide. Between April and November, one California waste agency reports landfilling four to eight million pounds of fresh produce. Wasted food isn’t just bad for growers but for the planet too: Project Drawdown prioritizes food waste reduction as the third most important factor in the fight against climate change (in comparison, composting food scraps is way down at number sixty). When organic material such as food waste goes to a landfill, it breaks down and emits methane, a greenhouse gas that is up to 25 times more powerful than CO2. 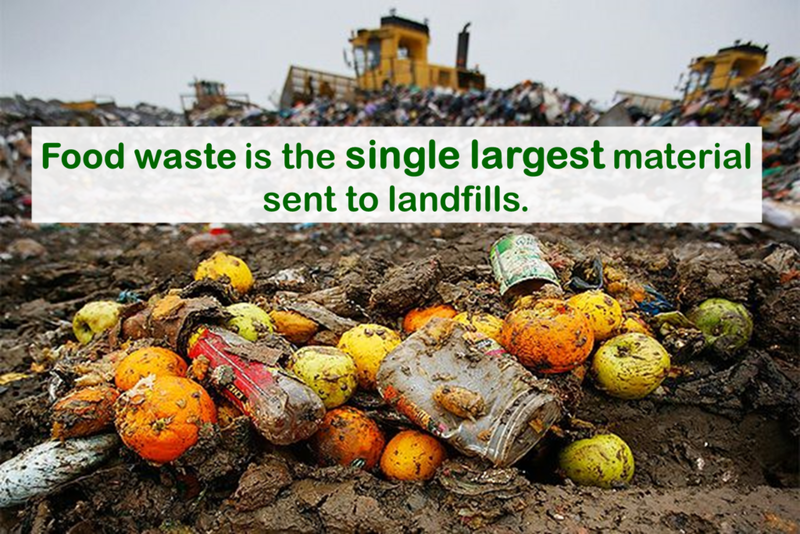 Not only is the food wasted, but so are all the resources used to produce it including water, fuel, fertilizers, packaging, and more. Just goes to show that Reduce is again the most important of the 3Rs. Luckily, a new service aims to make it easy for you to do your part. 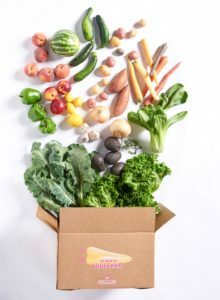 Imperfect Produce recently expanded to the Chicago area and offers delivery of imperfect and surplus produce directly to your door at 30-50% less than grocery store prices. This is produce that would otherwise go to waste due to not meeting standards for appearance or simply because there was more than the farm could sell. A sample Imperfect Produce box. You can choose to get just veggies, just fruit, or an organic subscription that is a mix of both. Each delivery is totally customizable so you can choose to get only what you’ll eat – after all, it is about reducing food waste. It even details why the item is being offered (overstock, blemish, size etc) and how it will come packaged – handy if you’re trying to avoid extra waste. What produce is available varies each week since it is based off what farms can’t sell to traditional retailers. And as a bonus, the Chicago-area Imperfect Produce warehouse has commercial composting for any produce that is a little too far past imperfect. SCARCE subscribed to see how it was and the results? “Ugly” is really a strong word for these barely imperfect pears, carrots, blueberries, and more. Want to give it a try? Use the code SCARCE30 to get 30% off your first box. A Hy-Vee store employee in Iowa shows off a perfect lemon next to a “Misfit” lemon. Not interested in a subscription? 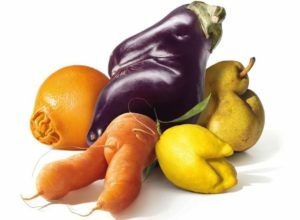 Seek out the less-than-perfect appearing fruits and veggies on your next shopping trip and ask your local grocer to stock imperfect items – grocery store programs are catching on around the country. You can also learn more on how to reduce food waste, beyond eating ugly, from Save the Food. 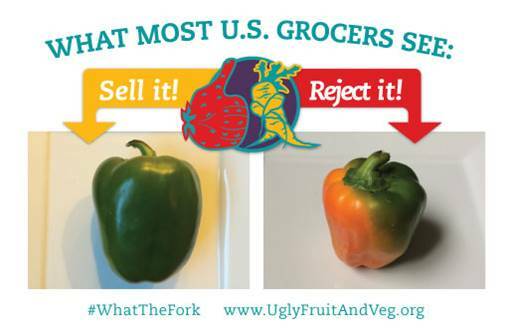 And finally, just for fun, if you get a kick out of ugly produce (some of it is pretty comical), check out @UglyFruitandVeg on Instagram and spread the love for ugly. Worth noting: SCARCE was not asked to write this post by Imperfect Produce. We just think it’s an awesome (and easy!) service helping reduce our impact on the planet and reach our nation’s goal to cut food waste in half by 2030.